Get the newest and hottest beauty products (along with the occasional old favourite) delivered to you every month with Glossybox. 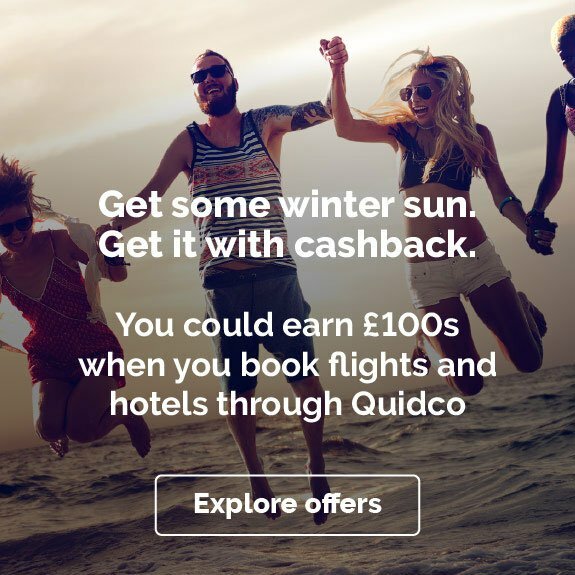 And along with fab new products from top beauty brands, you can now earn cashback on Glossybox membership with Quidco. Whether you're after a Glossybox promo code or want to know a bit more about how this very modern take on beauty sampling works, check out the latest offers on Glossybox subscription and learn all about the brand with our guide. You can save with a Glossybox voucher code or check out the latest offers thanks to our partnership with one of the world's top beauty discovery platforms. Though the brand operates around the globe, Glossybox UK has become a national favourite since it started in 2011, with a community of over a million today. 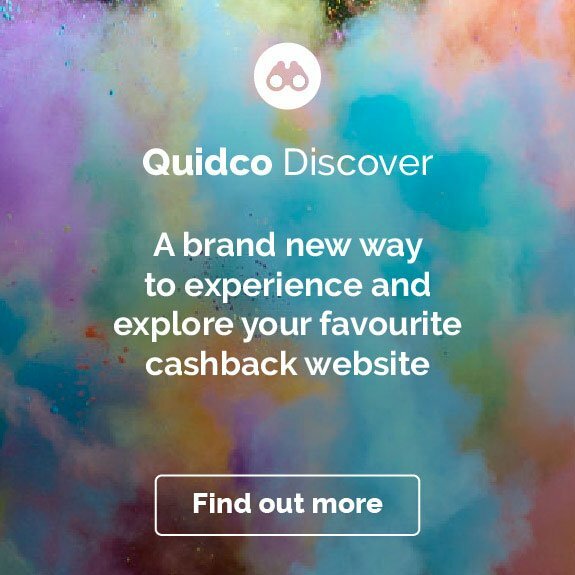 And with Quidco's offers you could get a promo code for your Glossybox subscription and earn cashback when using the discount codes on this page and by following our links. Join a big community of 'Glossies' and get a huge range of different beauty products delivered straight to you, with five great new discoveries every month. Glossybox describes itself as a 'beauty discovery platform' – and that's just what it does. You choose the way you want to subscribe – longer-term commitment or rolling subscription – and get an expert-curated selection of top-quality beauty products to sample each month. For £10 a month you get over £50-worth of samples from both big-name and niche brands, covering everything from eye shadow to hair masks to fragrances to razors. Every box has its own theme, with a special unique design, coming to you with Glossybox's signature hand-tied ribbon – so you know you're getting a proper treat. You can cover the essentials with Glossybox, but the best part is discovering great new brands – before everyone else. Glossybox's team of expert scouts are constantly building partnerships with top brands in every beauty niche, with collaborators including Real Techniques and Gatineau, and hot brands from the US, like Bang Beauty and bareMinerals. Find a Glossybox promo code on this page to pair with your subscription, and you could get even more of a bargain on your new beauty discoveries. Glossybox sometimes runs special collaborations with especially hot brands and innovators; Glossybox's previous limited editions have included one-off showcases for NARS Cosmetics and Wendy Rowe. Obviously you can try some great samples, but it'll also give you one jealousy-inducing Instagram feed. The products you get in each Glossybox can range from makeup staples to skincare essentials to fun novelty beauty tools. So whether you'd like to try out a hand cream, want a new lipstick chosen for you, or fancy a play around with surprises like tattoo stamp pens, Glossybox keeps delivering. Glossybox has its own editorial team of beauty experts, who regularly produce tips, tutorials and more, including round-ups of the latest brands to watch and influencers to follow for super-hot trends. As well as fun behind-the-scenes cuts on the stories behind special boxes, expect Instagram how-tos, tips on creating seasonal looks and sneak peeks of new and upcoming beauty products. Follow the links on this page to the Glossybox site and check out the Beauty Unboxed section. You can even get beauty inspiration from Glossybox beyond the treats you get in the post each month browse the Previous Boxes section to see the full selection from previous months, including Glossybox limited editions. The themes for previous months have included the French Riviera, Nostalgia and, of course, seasonal one-offs. Sign up with a rolling subscription where you pay a recurring cost each month, or choose from block subscriptions of three, six or 12 months – with this option you pay one upfront price and save on the total cost of your subscription. As you'd probably expect, the longer you commit for, the greater the saving. Whichever way you sign up, you then pay postage and packaging costs each month. Once you're signed up, it's easy to manage your account and profile using your Glossybox login. Make sure you check here for Glossybox promo codes and follow our cashback links to start earning cashback on your Glossybox subscription. 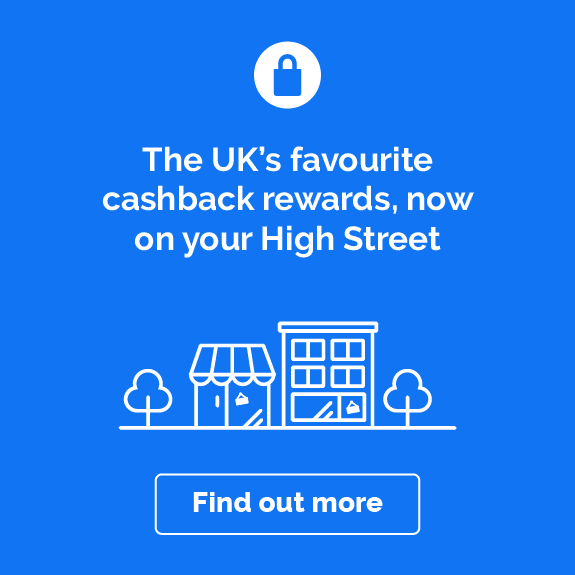 Like the idea of earning cashback while you discover new products, but need some inspiration? Here are a few ideas to help you put your Glossybox cashback to good use, or just make the most of our Glossybox offers. When you sign up to Glossybox you can create your own beauty profile, detailing your preferences and giving Glossybox information on the condition of your skin and hair. Glossybox then uses that to make sure that the products you get each month are suited to you – so you're not just entering a lottery; you know that each month, your picks will be specially chosen for your needs and tastes. 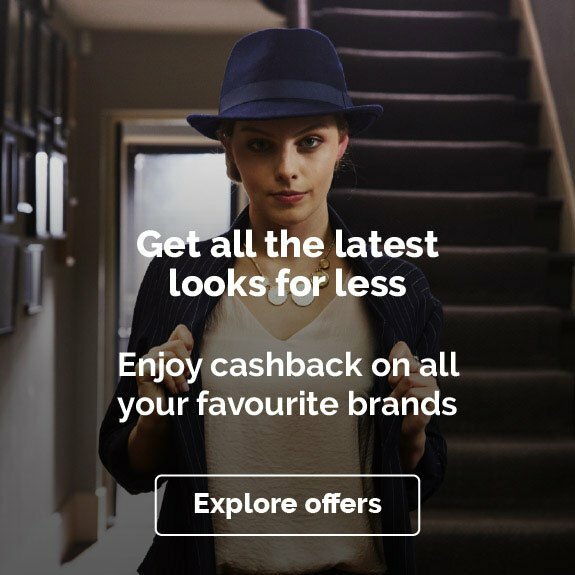 When you recommend friends using a Glossybox referral code you can earn Glossycredits – points that you can use on boxes or with partner beauty brand lookfantastic, where you can also earn cashback with Quidco. 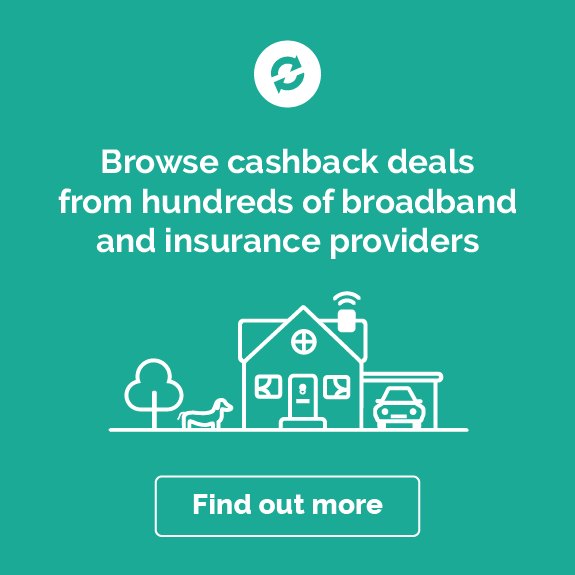 Do make sure that you follow the links on this page if you want to earn cashback and check the Ts and Cs to see whether using Glossycredits affects your eligibility. When you become a Glossybox subscriber you also get access to the Glossy Lounge – a subscribers-only area of the Glossybox UK site where you can get offers from Glossybox's partner brands on other beauty buys, as well as food and drink, clothing, travel and more. Just make sure you're logged in and you'll unlock access to the Glossy Lounge (it can take up to seven days after you sign up to Glossybox). Glossybox isn't just about topping up your dresser. It's a great way to try out a whole product category you might not have used before and discover new essentials. Wondered if a neck toning gel is for you? Maybe you've been cheaping out on your eye makeup remover but aren't sure if it's worth splashing out on a higher-end one. That's the great thing about beauty sampling with Glossybox – you can give fun new products a go without paying top whack for it. With a Glossybox gift voucher you can give a subscription and get someone a surprise they'll love. You can buy Glossybox gift vouchers for three-, six- or 12-month subscriptions, covering everything (including P&P) in one upfront payment. You just provide the recipient's email address and they’ll get full, clear instructions on signing up straight to their inbox. Once they've set their own preferences, they'll get a box full of goodies every month (and be reminded of just how great you are, of course). Check our terms and conditions though – buying a gift voucher might invalidate your cashback. If you haven't shopped with Glossybox before, you'll probably have a few questions – or you might need a reminder even if you're already a subscriber. That's why we've rounded up answers to the most common questions about Glossybox. It's pretty straightforward – choose your package (rolling monthly subscription or upfront subscription of three, six, or 12 months), complete the signup procedure, and wait for your first box of beauty treats. When you get charged depends on the subscription you choose – check out the helpful How It Works section on the Glossybox UK site. It's worth bearing in mind that most subscriptions will auto-renew unless you opt out, so make sure you know how long you're signing up for. Glossybox has its customer service HQ in Cheshire in the northwest of England, but as an online-only business it has no physical shops. The company does also have a presence in more than 10 countries though, with beauty enthusiasts and trend scouts around the world, working in places including Paris, Milan, Tokyo and New York. When does Glossybox take payment? When you sign up for the one-month subscription option, Glossybox will charge you every month, taking payment on the 1st of the month – you're charged for both the cost of the beauty box and postage and packaging. With the three-, six- and 12-month options, you pay one fee upfront for your boxes, and after that you just pay postage packaging costs each month. Follow the links on this page to the Glossybox site and head to the Subscribe section for a clear breakdown of the different options. What date does Glossybox arrive? Glossybox's dispatch day is usually the 5th of the month and delivery takes 3–5 working days. You'll also get an email letting you know when your Glossybox has been dispatched and when you can expect delivery. Can you cancel Glossybox any time? If you want to cancel a rolling monthly subscription you need to let Glossybox know before the 14th of the month. If you've signed up for one of the upfront subscriptions (three, six or 12 months), you won't be able to cancel until the term is up – you'll have paid for your boxes in advance anyway. Remember that most subscriptions also auto-renew, so if you want to just see out a six-month subscription, for example, you may still need to contact Glossybox before the 14th of your last month to make sure that you don't pay for another six months. What comes in a Glossybox? It varies every month – that's the beauty (excuse the pun) of Glossybox! Each month you get five products taken from a wider selection of around 10 or more. The products you get match the preferences that you set in your beauty profile; so if you have dry hair, you can avoid being sent oily hair products. Each month there's also a special seasonal theme to the products curated – for example, the July 2018 Glossybox was an Under the Sea edition full of beach essentials, perfect for the summer. Are Glossybox products full size? Usually you'll get at least four full-size products in each Glossybox, and you'll sometimes find that all five are full-size. Either way, each Glossybox contains five products worth more than £50, giving you a chance to try out everything from makeup essentials to skincare and anti-aging products, to fun little one-offs. Want to find more voucher codes, discount codes and cashback deals like our Glossybox offers? Check out our other pages to find great deals with retailers such as Glossybox partner brand lookfantastic, Feelunique and Birchbox.